Since iOS 6 was released alongside Apple’s new iPhone 5 and made available via upgrade for older devices, we’ve heard a lot about consumer concerns like the new Maps app. But what of business concerns related to the platform’s update? When it comes to securing iPhones and iPads, there were several changes that businesses will want to take note of, and Eric Beehler of SearchConsumerization has compiled a list of six. With Apple’s devices making their way into small and larger businesses alike through employees bringing them into the office, it’s good to keep in mind that an OS update could affect your policies. Apple devices going back to the iPhone 3GS and iPad 2 can be updated to iOS 6. Older devices must stay on the previous version. Here’s a look at the top three changes to iOS 6 that could affect your business. iOS 6 has a global HTTP proxy, a step up from the previous proxy that worked on a per-connection basis. Now that the proxy applies to all Web communication, it’s possible for administrators to put more rules in place for what data services work on a public network. There’s also more opportunity to block unwanted Web traffic from reaching an iPhone. If you’ve ever wanted to have cheap digital signage in place at your business, the iPad is now an option for this. The mode allows you to choose one app and prevents the user from exiting it. So you could present the iPad to customers in a store front and know they’ll be using it to browse your product catalogue, not check out some YouTube videos. 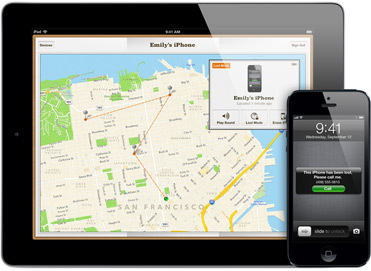 Previous versions of iOS supported remote data wipe, and an ability to find your lost iPhone via GPS from another Apple device. Now there’s a new Lost mode, which allows users to send a phone number to the lost iPhone. If a good Samaritan finds it, they can tap the screen and call that number. It’s one more way that users could get a lost device – and sensitive corporate data – back into their hands. See more new features in iOS 6 at the source article (registration required).